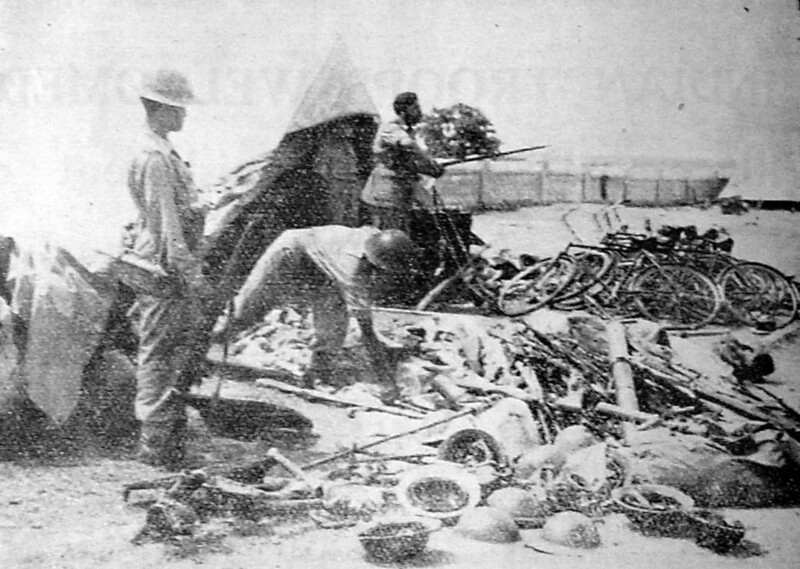 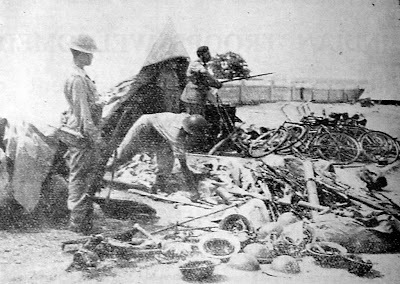 Indian soldiers sort through the arms and equipment left behind by hostiles during the Operations in Hyderabad. Prime Minister Jawaharlal Nehru and Major General Muchu Chaudhury flank the Nizam of Hyderabad, Mir Osman Ali Khan after he signed the accession to India in September 1948. 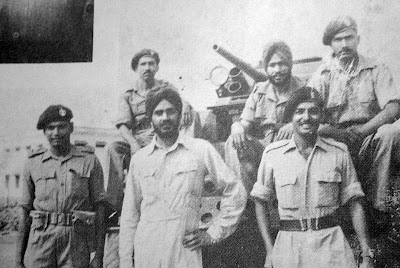 Indian Armoured Corps officers during the Hyderabad Police Action - Operation Polo. 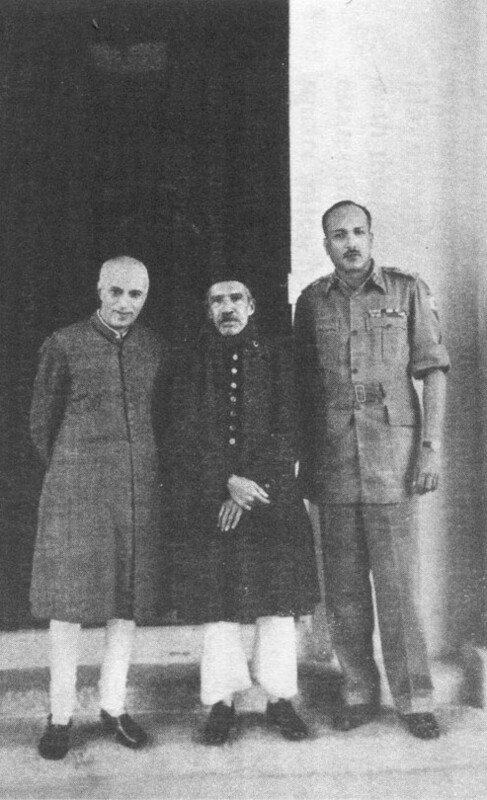 Standing at right is Captain (later General and Army Chief) Arun Sridhar Vaidya. 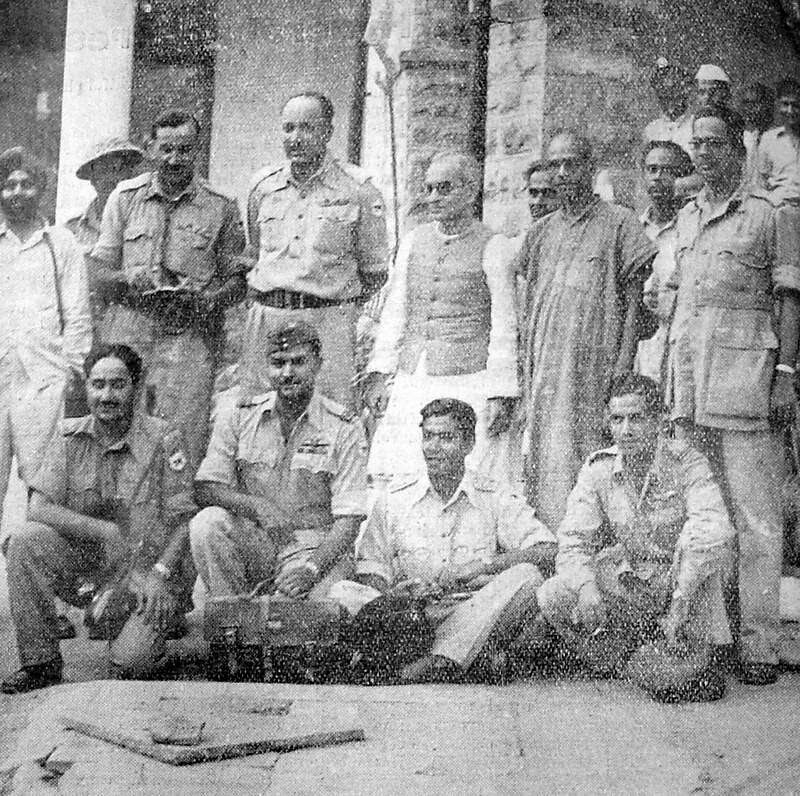 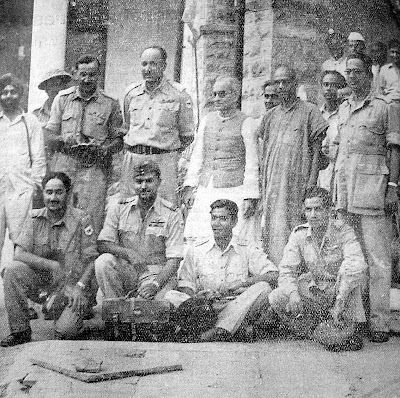 Shri K M Munshi and Swami Ramananda Tirtha along with Major General (later General and Army Chief) Joyanto Nath Chaudhuri and other officers at Secunderabad. 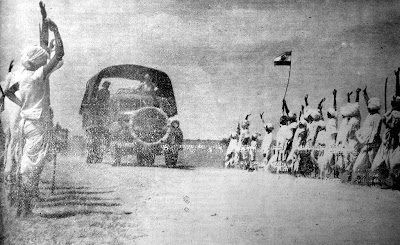 An Indian Army motor column is cheered by villagers on its way to Naldurg, Hyderabad. 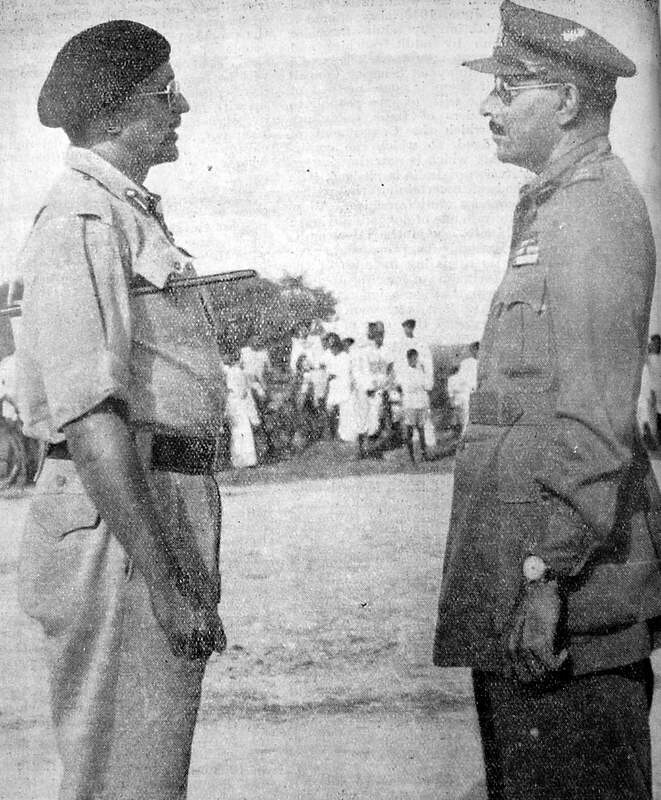 Major General El Edroos (at right) offers his surrender of the Hyderabad State Forces to Major General (later General and Army Chief) Joyanto Nath Chaudhuri at Secunderabad. 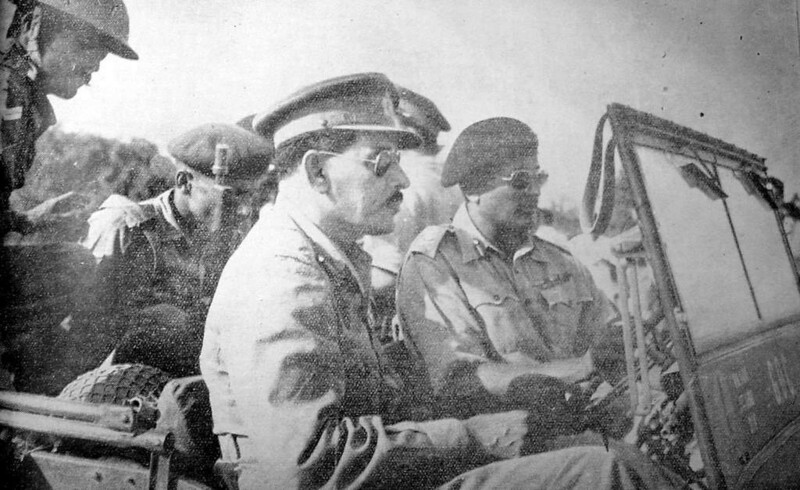 Major General (later General and Army Chief) Joyanto Nath Chaudhuri, Military Governor of Hyderabad and Major General El Edroos, Commander-in-Chief of the Hyderabad State Forces driving in a jeep in Secunderabad immediately after Major General El Edroos had offered his surrender to the Indian Army Commander.